This is widely used remedial measure in astrology, to fight against the obstacles of life and indeed enhance the life. As per Vedic astrology our ancient sages like brughu, Garg, VarahaMihira, Vashishta using their telepathy method they discovered that all the planets has significant effect on all leaving beings & non-leaving things on earth. On return earth as well has few hidden things, which signifies the rays emerged from the planets on earth. In addition, these things has the ability to change the negative effects from those planets in to positive, which are none other than Gemstones. 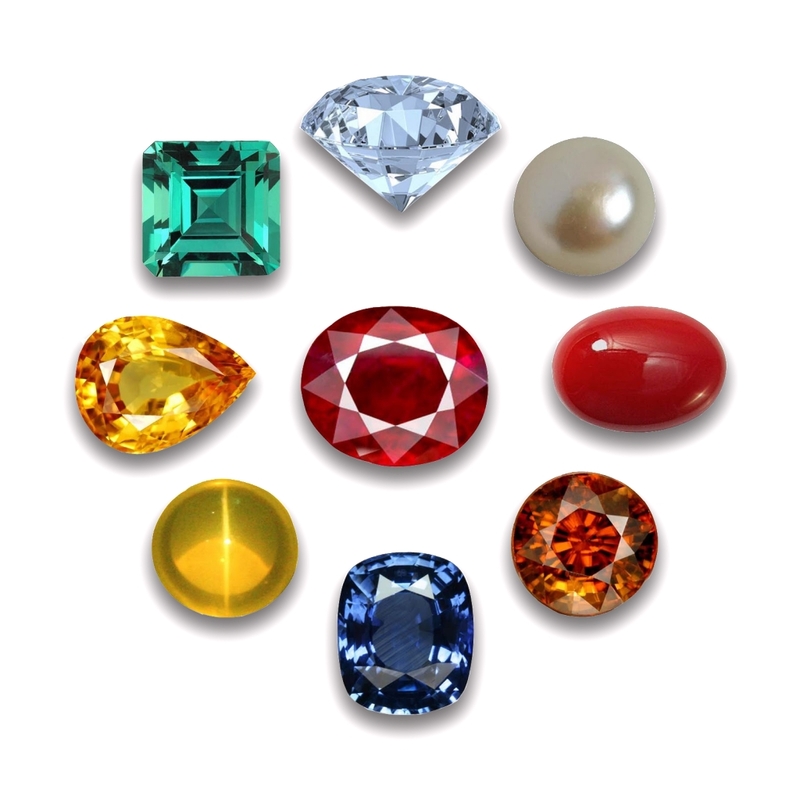 Gemstones are nature occurred elements unearthed from deep earth. As per Indian Vedic astrology all the nine planets in which, two are shadows of daemons whose head and body cut by lord Vishnu during samudra manthan and amrita paan. As all the planets are gods, excluding rahu and ketu who are daemons so there are few elements, which they like and signify, and gemstones are part of these. The thumb rule to please your enemy first thing you would do is take a gift, which he / she likes. The same principle applies here as well; wearing the gemstones related to the planets affecting you will calm those planets and indeed increase your fortune. However gemstones should not be wearied for the reason that, planets are in unfavourable position in your horoscope / transit. As it may create adverse effect as well instead of helping you. For which careful examination of each individual’s birth details would be required and then gemstones be suggested.